There was a big sleepy bear and a little sleepy bear. 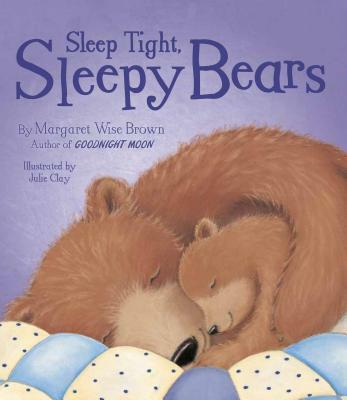 Go through the motions with sleepy bears in Sleep Tight, Sleepy Bears, a sweet story from the hidden treasures of Margaret Wise Brown, author of the children's classics Goodnight Moon and Runaway Bunny. Yawn, stretch, sing and sleep tight with this book illustrated by Julie Clay.